This book offers a concise yet detailed account of this multifaceted association ―and its implications for the ongoing game (the ultimate sport!) of trying to understand what we humans are as a species. 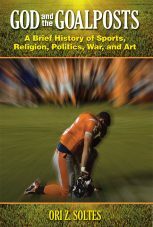 Sports is one among many areas where religion and its concerns have played a role, and the interweave between sports and religion is as old as sports and as continuous as religion. Spring arrives in our Nation’s Capital and life emerges from its slumber. Explore Washington in with acclaimed author Robert K. Musil. 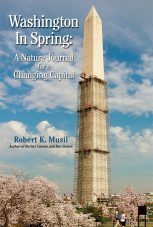 Through sensitive observations and stunning photographs, ramble with him in this intimate and history-laden nature journal to find eagles circling over the suburban landscape, foxes searching for prey under the Capitol dome, or hear a pileated woodpecker’s raucous welcome to the C&O Canal. Did you ever wonder why so much fantastic music started coming out of Britain in the 60s? Pirates did it. That’s right, Pirates. The story of how they did it seems unbelievable, but it really happened, and it completely altered the course of rock and roll. Talent alone was not enough to break through the rigid broadcasting system that filtered anything it deemed “unsafe”. Only bands approved by the BBC, which controlled radio across Britain, could get air time. That is, until “pirate radio” was born. 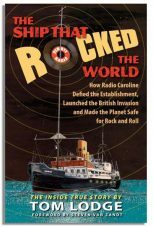 The Ship that Rocked the World tells of Radio Caroline, and how a band of pirates changed the world of music forever. Written by Tom Lodge, main deejay of Radio Caroline, with Foreword by Steven Van Zandt, this is the true inside story of the British Invasion. 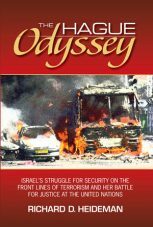 In The Hague Odyssey, Richard D. Heideman, noted international attorney and well-respected advocate for victims of terrorism, challenges the Court and makes a spirited, insightful defense of the absolute right and obligation of the State of Israel, as every other nation, to protect her citizens. Nearly fifty-five years after his tragic death and thity-five years after the original publication of his biography, the inspirational story of Ernie Davis has finally come to the big screen. Based on Robert C. Gallagher’s book, Ernie Davis: The Elmira Express, the Universal Pictures’ film “The Express” can still be seen regularly. Bartleby Press has released a new hardcover Anniversary Edition of Ernie Davis: The Elmira Express. The original enduring story of Ernie Davis can also be found in paperback as the Express published by Ballantine Books. People often think it’s something that you gain over the years, feeling that if you live long enough, you’ll end up a mature person. But it’s an achievement, one that not only takes time, of course, but effort and courage as well. If, with much effort, and the help of others, we remain open to the mysteries of life, enriching ourselves with all living has to offer, then we may begin to learn who we were meant to become. A young man awakens from a coma after surviving a shooting that has compromised his memory—or does he? 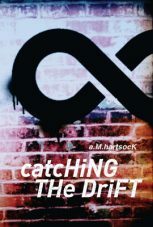 Set amidst the grunge and angst of the early 1990’s, A. M. Hartsock’s Catching the Drift is a twisted tale of a romantic relationship gone horribly awry. Pay attention, for nothing is what it seems in this startling novel that explores the metaphysical reality of individuals navigating between their inner and outer worlds. As the disaster in Japan makes clear, the need for accurate information about nuclear energy is needed now more that ever. Instead, Americans have been fed a steady diet of half-truths, misinformation, urban legends, and outright fabrications. Terrestrial Energy, a book that is quite possibly the most important book about energy in a generation can help us through the maze. 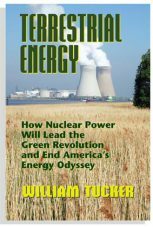 Tucker is not content to merely give an argument about why nuclear is the best choice for our energy future. Instead, he meticulously surveys the entire scene, including the “renewable” sources–wind, solar, biofuels–and their promise of clean, plentiful power. Each has its place in America’s energy mix but each has serious limitations. Will the earthquake in Japan cause us here in the United States to to reduce our commitment to use the greatest scientific discovery of the 20th century–the fulfillment of Einstein’s formula, E=mc2–as the forward thinking solution to our nation’s energy dilemma. Time will tell. We all know it’s complicated, but we really don’t know why. It’s Israel and the Palestinians; It’s oil. Muslims against Jews and Muslims against Christians. It’s the Saudis. Or the Muslim Brotherhood. Actually it’s all that and so much more. It might take centuries to explain, but at least we can get started with this important volume. 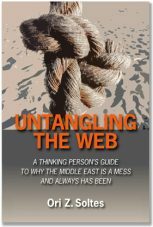 Ori Soltes takes on the task, giving us analysis of the religious, historical, and political basis of this endless conflict between peoples. It is the kind of deep, profound knowledge that we will need before we can ever begin to talk about true, lasting peace. Follow this guide for navigating your career and overcoming any obstacle in your way. In this economy, it’s hard enough to find a job, much less the job that’s right for you. Don’t let anything hold you down as you seek to improve your career, and your life. Disabilities and other disadvantages can all be overcome with the right attitude and the right tools. You bring the attitude, and we’ll give you the tools. 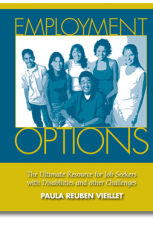 Employment Options, written by Nationally Certified Vocational Evaluator Paula Vieillet, is designed to help you not only find the job you want, but get it. Whether you’re just entering the job market, re-entering after unemployment, or looking to change your career, Employment Options has guidance, procedures, and the definite dos and don’ts of job hunting. Jack Calhoun’s impressive resume, including 20 years as CEO of the National Crime Prevention Council, doesn’t reveal one thing. 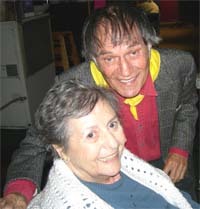 At some point, he lost touch with the bedrock of his work—the faith and passion that had galvanized him as a young man. But when a chance encounter brought Calhoun’s past flooding back, he embarked on a two-year cross-country quest to find out what truly motivates some of America’s hardest-working public servants. These 24 community heroes have an endless supply of energy and selflessness, and in conversations with Calhoun, they reveal its hidden source. 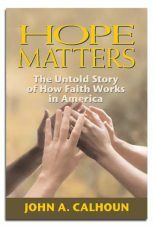 It is faith—the certainty that they, Christians, Jews, Muslims, and others, work not only for others, but for God. Theirs is a ministry of open arms and second chances, of dogged persistence and love. Their stories just might inspire you to make your own “place of worship” a little bigger. When women are diagnosed with breast cancer, the men in their lives play a vital role in their recovery, supporting them through treatment, remission, and everything in between. 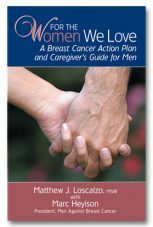 For The Women We Love is a highly-focused, essential manual for men who are serious about helping the women in their lives cope with breast cancer. Based on years of expert experience and scientific research, this book teaches men ways they can best help women deal with the complex emotional and physical problems and disruptions caused by breast cancer. Jim Rose has cooked up another batch of Snake Oil. (Okay, we helped). It’s just as potent as the original. As a matter of fact. it is the original. So if you didn’t get yours first time around, now’s your big chance! 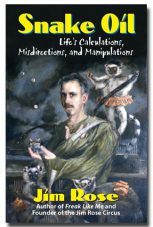 Snake Oil thrusts you directly into Jim Rose’s head, revealing everything you’d ever want to know—and even some things you wouldn’t—about mind and body illusions, stage shows, deceptive cons, and much more. 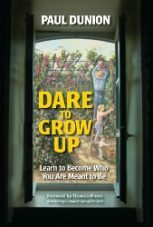 Dare to explore Jim Rose’s special brand of snake oil. Step right up and try some—there’s nothing it won’t cure. How does a mother tell a daughter she has breast cancer? How can a child understand what a mastectomy and reconstruction are all about? After Nancy Reuben Greenfield was diagnosed with breast cancer, she searched for answers to these questions. 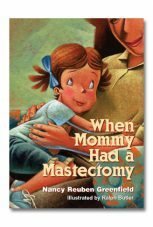 Out of her experience, she created When Mommy Had a Mastectomy, a book for children that addresses these questions in a simple, clear manner. In 1927, forty students about to enter the eighth grade, along with their teacher, arrived in the morning to open the doors to their small, two-room schoolhouse for the first time. There were already ten public school high schools in Montgomery County, Maryland. But these forty students weren’t allowed to attend any of them because of the color of their skin. 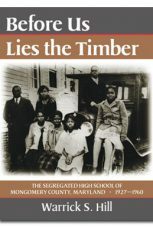 The stories chronicled in this book are not merely a biographical record of African-American students in Montgomery County, but rather a historical archive that will keep their memories alive for future generations. With a sense of adventure, a call to service, and a touch of defiance, twenty-one-year-old Anita Bloom enlisted in the army. Her exciting journey began when she shipped off to camp and immediately became fast friends with several other new soldiers. Together, they memorized army regulations, went to map reading class, and learned how to march. 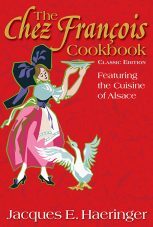 Anita didn’t even notice the bite-sized cut on her thumb at first. Eventually it started hurting, becoming painful enough to keep her up at night. When she sought medical attention, the technician’s indifference forced her to continue on with her regular Army duties. 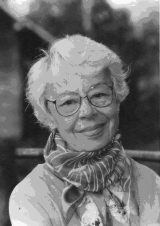 Eventually, she was transferred to an Army hospital where her doctors, unaided by penicillin, could not arrest the infection. An operation saved her life, but she lost the use of her legs. Discharged from the Army and placed in a VA hospital, her new friends were the battle-scarred, paraplegics wounded in active service. 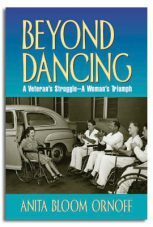 Beyond Dancing is Anita’s story of rehabilitation, perserverance, and the empowerment of love.